Every new arrival at Saint Wendred's gets their teeth checked right away, regardless of age. This time of the year all trainers are busy getting "their babies" going and cantering on the heath. So, before bitting a horse, it's best to get their teeth done. Youngsters often have sharp points needing to be smoothed, and wolf teeth that may need to be extracted. The key is that you don't want them associating anything unpleasant or painful with having a bit in their mouth. This is why I like to tick this box before we do any serious lunging and long lining with them. It just makes it so much easier in the long run to avoid creating a potential problem. 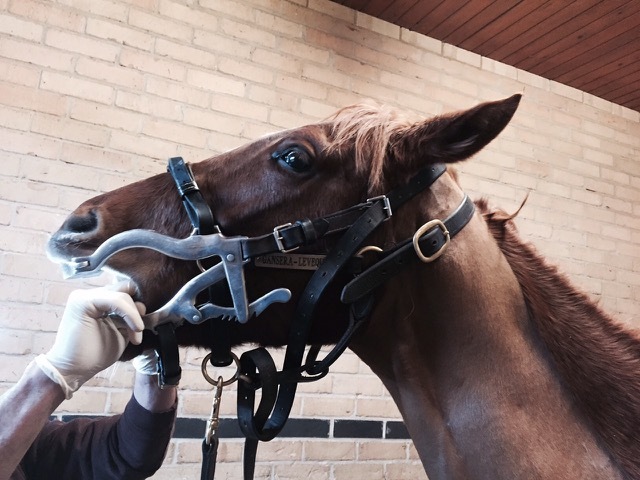 In the above picture you see one of "my" yearlings being examined after having been sedated (it makes everyone's life easier this way). Below is a picture of the same filly, who arrived at Saint Wendred's straight from the field with marked buccal cuts. 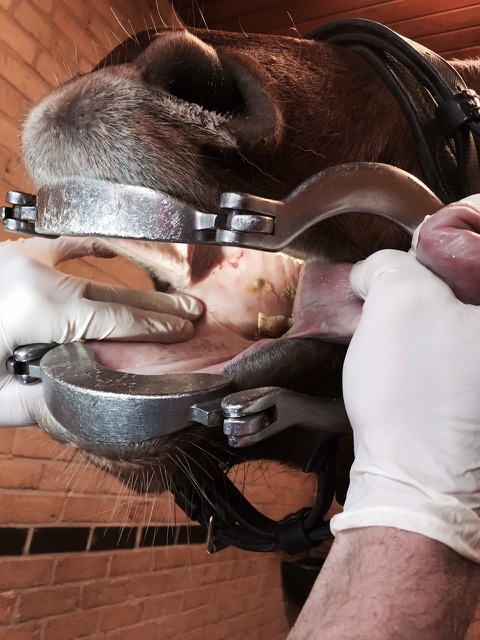 This is not an uncommon occurrence and shows how important it is to keep on to of racehorses teeth (any for that matter).